The Nutritional Therapy Practitioner (NTP) program is a nine-month, integrative online and in-person course providing you a comprehensive foundation in holistic nutrition and the tools to turn your knowledge into a rewarding, client-focused clinical career. Deep education and applicable knowledge in digestion, blood sugar regulation, fatty acids, minerals, hydration, anatomy, physiology, and the importance of a properly prepared, nutrient-dense whole foods diet. Hands-on training in the NTA’s Functional Clinical Assessment (FCA). You’ll utilize various reflex points in the body to assess corresponding organs and body systems. 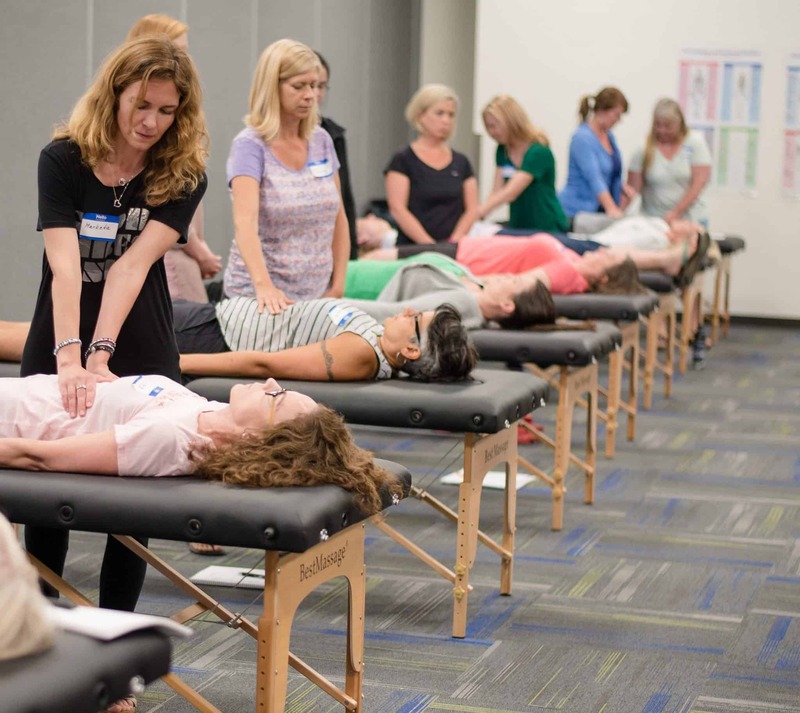 You’ll learn to use the FCA to evaluate digestion, blood sugar handling, endocrine, immune, and cardiovascular systems, and assess mineral, fatty acid, and hydration status. In-depth training on how to work with clients, create individual client protocols, and cutting-edge knowledge to become a highly recognized nutrition and wellness professional in your community. Is the NTP program right for you? If you’re looking to embark on a new career as a Nutritional Therapy Practitioner and work 1-on-1 with clients in a clinical practice, you enjoy diving deep into anatomy and physiology, or you’re a current practitioner looking to integrate robust and effective nutrition services into your pre-existing practice, the NTP program is for you. + In-person workshop: students are required to attend three in-person workshop sessions during the program to obtain certification.